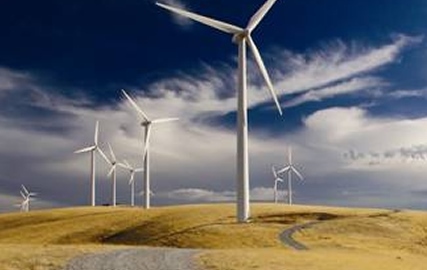 The Queensland Government has approved the development application for a wind farm on the Atherton Tableland near Mareeba which will contribute to Far North Queensland’s (FNQ) energy security and create up to 200 jobs during construction. The Mount Emerald Wind Farm – a joint venture between Ratch Australia and Port Bajool – will have the capacity to generate 225 megawatts (MW) of electricity, or 500,000MW hours of renewable energy each year, which is enough to power 75,000 homes annually. Deputy Premier and Minister for Infrastructure, Local Government and Planning Jackie Trad said the wind farm would provide FNQ with multiple benefits. “Our government promised to grow the renewable energy industry across the state and this project is aligned with the Far North Queensland Regional Plan 2009-2031 energy objective,” Ms Trad said in a press release. Ms Trad said the approval follows a comprehensive assessment of the development application, including consultation with a number of government agencies and independent consultants regarding key issues raised by the community. She said the approval includes strict conditions to address community concerns, including a condition requiring all turbines to be located at least 1.5km from any existing dwelling – which is consistent with current advice from the National Health and Medical Research Council and the Chief Health Officer – as well as a condition requiring the applicant to undertake community consultation prior, during and post construction. “As part of the approval, the State requires the proponent, Mount Emerald Wind Farm Pty Ltd, to comply with a number of strict conditions, including daytime and night time noise limits which are equal to, or better than, standards in other states like Victoria and South Australia. The project is also subject to obtaining further relevant approvals, including from the Federal Environment Minister for matters under the Environmental Protection and Biodiversity Conservation Act 1990,” Ms Trad added.